Sealy and Tempurpedic are two well known mattress brands. While the brands share many similarities, there are also significant differences between their mattresses. Knowing about these similarities and differences should help you choose a mattress that fits your needs and budget. You will likely use your mattress for a decade or more, so you need all the information you can get. Sealy is one of the most well known mattress companies in the United States. Perhaps that's not surprising considering that the company was founded in 1881. The company had so much early success that it even sold some of its patents to mattress manufacturers operating in other areas. Sealy has several well known brands. In fact, Tempurpedic is one of those brands. To keep the two separate, this review of Sealy will focus on the Sealy brand of mattresses instead of all the brands owned by the company. 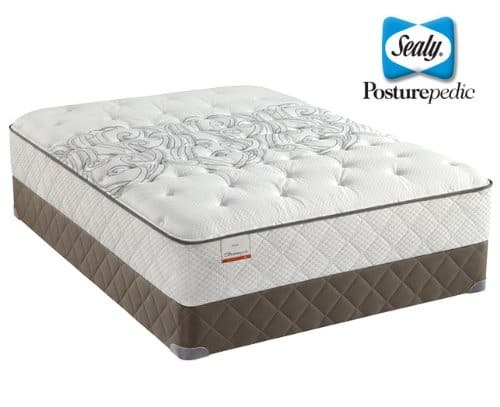 The Sealy brand has two collections: Innerspring Series and Gel Memory Foam Series. Each of these collections offers its own set of unique features. The defining feature of the Innerspring Series Collection is a Sealy Stability Coil. These coils are individually encased to improve comfort. Their strategic placement also helps prevent motion transfer during the night. If your partner rolls over, it probably won't disturb your sleep. These mattresses also include several features that make them more comfortable. The memory foam in the mattresses is designed to conform to your body's contours. This helps reduce pressure on your joints, spine, and other body parts. By reducing pressure, you should get a more restful sleep instead of waking up because of aches and pains. The mattresses also include a gel foam that helps keep you and your bed cool. Instead of getting hot while you sleep, the gel foam moves heat away from your body. Many people find that this also helps them sleep better so they wake up feeling fully rested. Models in the Gel Memory Foam Series Collection lets your body sink into the mattress. An outer layer of foam can give the impression that you are sleeping in, rather than on, the mattress. Like the gel foam included in the Innerspring mattresses, this material moves heat away from your body for a more comfortable experience. These mattresses also contain Polycore support systems. This sturdy core provides plenty of support for your body. While the outer foam layer sinks under your body weight, the Polycore makes sure your body stays in proper alignment while you sleep. Sealy has extremely affordable prices. Queen sets in the Innerspring Series start at just $399. 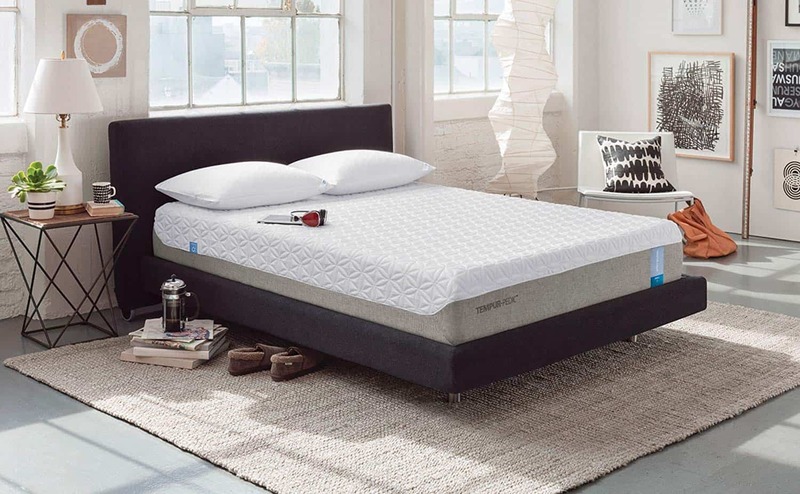 Queen sets in the Gel Memory Foam Series start at $599. As you will soon see in the review of Tempurpedic mattresses, Sealy offers much more affordable options. Most Sealy mattresses are available in numerous sizes, including: Twin, Twin Extra Long, Full, Full Extra Long, Queen, King, and California King. The California King is Sealy's largest size. It measures 83 inches high and 71.75 inches wide. Tempurpedic has 17 mattresses spread out over its three collections. The company also has a line of Special Solutions mattress sets for couples who have different sleeping preferences. Tempurpedic's collections are known as Tempur-Flex, Tempur-Cloud, and Tempur-Contour. The brand also has a line called Special Solutions. The Tempur-Flex Collection includes three mattresses that have been designed to react quickly to changes in pressure. If you rollover during the night, the mattress will almost instantaneously reshape to your body's contours. The mattresses in this collection include Tempur-Flex Elite, Tempur-Flex Supreme, and Tempur-Flex Prima. The Elite is the softest option in this collection. Prima is the firmest. Mattresses in the Tempur-Cloud Collection are some of the softest designs sold by Tempurpedic. These mattresses have extremely soft outer layers that adjust to your body during the night. Inside each mattress, however, is a solid core that offers the stability and support needed to prevent body aches. There are six mattresses in this collection. In order from softest to firmest, they are Luxe Breeze, Luxe, Elite, Supreme Breeze, Supreme, and Prima. Sleepers who prefer more active support from their mattresses will likely prefer designs in the Tempur-Contour Collection. The five mattresses in this collection offer excellent support. They are also some of the firmest mattresses sold by the Tempurpedic brand. The Tempur-Contour Collect mattresses, in order from softest to firmest, are: Allura, Rhapsody Breeze, Rhapsody Luxe, Elite, and Supreme. The Tempur-Contour Supreme is the firmest mattress sold by Tempurpedic. Just because these mattresses are firm, however, does not mean that they are uncomfortable. If you do not like plenty of support, though, you may prefer a softer option. The Special Solutions line is specifically designed to meet the needs of couples who have different sleeping preferences. One person may get too hot while sleeping while the other gets too cold. These mattresses can also mix firmness levels. If one person prefers a firm mattress while the other wants a softer mattress, designs in Special Solutions can match both of their needs. The amount of money that you spend on a Tempurpedic mattress will depend on the specific collection and mattress that you choose. Beds in the Tempur-Contour Collection cost between $2,199 and $4,299. Tempur-Flex Collection mattresses cost from $1,999 to $3,199. The Special Solutions line has the highest prices. If you need one of these mattresses, expect to spend somewhere between $3,199 and $7,499. All of these prices are for Queen size mattresses. Larger mattresses will cost a little more while smaller mattresses cost a little less. If you want to buy an inexpensive mattress that still offers plenty of support and comfort, you may want to explore Sealy's models. If you don't mind spending an extra $1,000 or more, though, you can enjoy the excellent comfort and enhanced features of a Tempurpedic mattress.